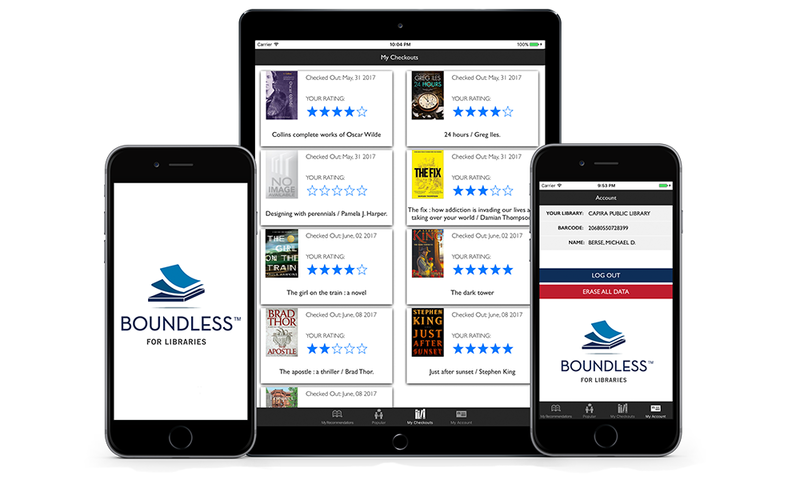 Boundless for Libraries™ reinvents the connection between your patrons and your book collection through a groundbreaking approach to readers’ advisory with recommendations based on individual reading trends and tastes. Patrons are effortlessly guided to new titles they are sure to love. Libraries will witness a dramatic increase in circulation as their community engages with the library like never before! Boundless for Libraries™ is available as a stand-alone service which can be offered directly to patrons. Boundless for Libraries™ can be integrated into a customized mobile application from Capira Technologies.